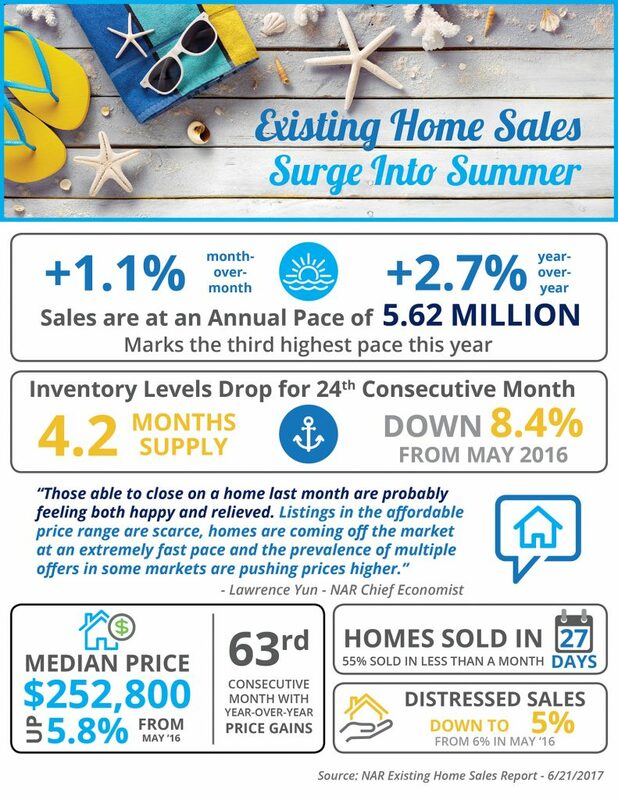 Existing Home Sales reached their third highest mark this year in May. Inventory of homes for sale has dropped 8.4% since last year, marking the 24th consecutive month of year-over-year declines. Thinking of selling your home? We can help - contact The Gary & Nikki Team today. Or call - 727-787-6995.